Not sure if you are ready for that small business loan? Here are some small business funding considerations for you to think about. Should I hold my cash and borrow short-term working capital? Most small business owners would love not to borrow and hoard cash. But, unfortunately, in reality that doesn’t happen for the majority of small business owners. Most are surviving on limited cash flow. Some are still bleeding cash hoping things will turn around soon. Some have seen the light again, but most of the time its still difficult for small business owners. Business are still closing, companies still downsizing but not in masses anymore. Other businesses have no choice to be lean to be able to get through this trough. A perspective from the lender can open a shed on how small business borrowing really should be and why holding cash is the key. Why Hold CASH on hand? One reason to hold cash is to show to your banker that you don’t need to borrow. But you borrow anyway because you can. When you wait to borrow when your bank account is low is when you are not going to get approved. Why not to max out your line of credit? Many small businesses still haven’t learned that line of credit is not a term loan and term loan isn’t a line of credit. Blurry to many small business owners, they want a line of credit but yet they max it out and when its time to access funding their line of credit is maxed out. They should learn to use the right form of financing for their business. Is Alternative lending for me? In part, the rise of alternative funding is here. We are here to fill the gap. Many small businesses have gone out of business for lack of operating capital. This alternative to lending isn’t the normal way of processing small business working capital. There are more alternatives now than ever before for small business owners including factoring, purchase order financing, and any other future sales purchases. I don’t want to work with a broker? You may think you’re getting the best deal working direct, however, one thing they don’t tell you is that they also have inside sales who makes commission or lives off incentives. You’ll learn that it’s not about the product or lack of knowledge but the company you work with. Liberty Capital is a lender and broker. 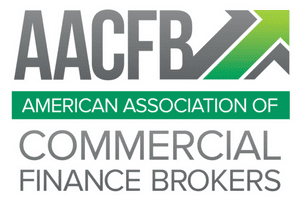 Not all lenders are brokers. So if they turn you down you’re out of luck and back to square one. Should I use my cash to buy equipment? The most popular form of business funding is office equipment leasing, commercial funding and truck leasing. Leasing office equipment is the best way to save cash. Why pay for depreciating assets. Make monthly payments. Make your business pay for it. Whether you are cash-flowing or not, you must not utilize your cash for some fixed asset, unless, you have no other choice. It takes a while to get paid? Factoring is the other form of alternative financing. Factoring uses your future invoices. You can leverage your future cash-flow. You are able to access your capital today for a discount rate. Now, the newest is merchant cash advance. Merchant cash advance is similar to factoring but in addition to future invoices, credit card sales are also used for a discount rate as well. Both are advance of your future revenue. To qualify for these two factoring products, you must have future income to be able to repay. Should I apply for SBA loans? Majority of your advice will come from family members, CPAs, Attorneys and consultants; however, most of them have no clue on what and how it takes to get approved. Not only that the process is time prohibitive, it also requires big down payment, collateral and involve providing unborn children future income to secure any form of Guaranteed type of loans. Do you have a business plan, projections and cash flow readily available? Most businesses don’t have business plans let alone projections. Only about 10% of businesses run on a business plan. Why do people ask for SBA? Closest to a Grant is an SBA but both are hard to get. There is no such thing as Free money. Don’t forget SBA only guarantee 50-85% on most guaranteed loans so banks still have the risk, without your skin in the game banks will not be willing to provide cheap loans. These are INSTANT disqualification to national banks, but might not be for community banks however without down payment, collateral or other secured assets it will be auto-declined. Don’t get scammed by Dun & Bradstreet specially if you’re a start up! It’s a self-reporting agency. All starts up will be based on personal credit and you can’t attempt to establish Dun & Bradstreet in exchange of bad credit. There is no replacement for bad credit except for collateral, down payment and even then it’s still not guaranteed you’ll get what you’re looking for. Don’t want to pay high interest rate? First advice is don’t borrow! Second advice have all your docs in a row to get the lowest possible rates. Interest is a cost of doing business. It’s risk reward for both you and the lender. Most business owners only think about themselves but forget to think about the guy who’s taking the risk. The risk that you could be out of business any day and stop paying any loans. Economic down turn will cause stop payments. There is no such thing as cheap money if you have bad credit and no collateral. If you want the lowest rate give up your equity.